The Foreign Exchange announce their long-awaited return to Atlanta after an absence of well over a year! Tickets are on sale now at The Masquerade's box office and online. All ages. 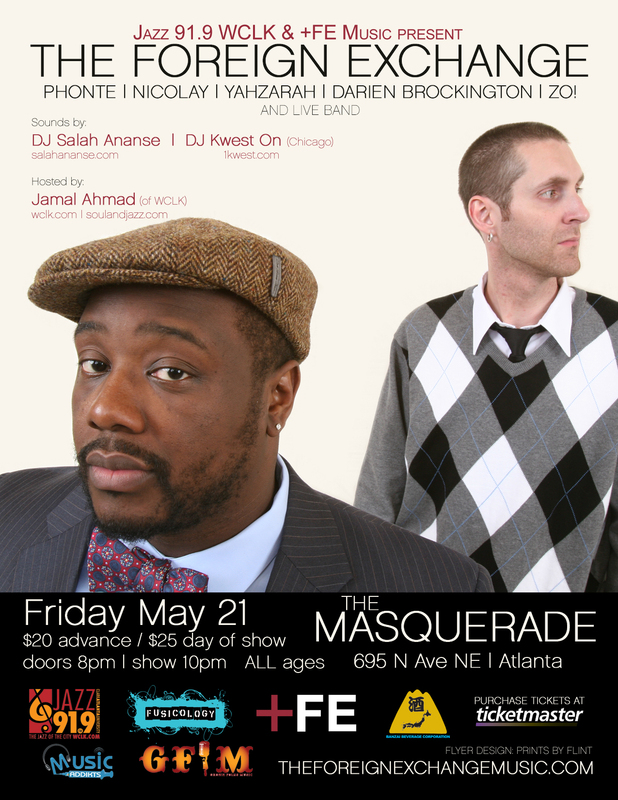 Atlanta, Darien Brockington, Masquerade, Nicolay, Phonte, The Foreign Exchange, YahZarah, Zo!